Deep inside your router settings, you are able to change the channel that your router broadcasts its signal. 2.4GHz and 5GHz are the most common frequencies for routers. As such, they are short range signals. If you live far away from neighbors, then the signals do not interfere with each other. If you live close to other people broadcasting their signals, you may find a spotty connection or slow speeds due to interference. Here's how to choose the best possible channel for your router. 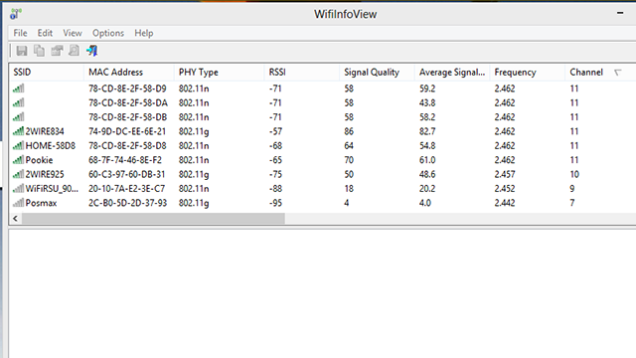 WifiInfoView is a free software you'll need to download for this purpose. Once installed, click on "Channel" to sort by channel. In this screenshot, channel 11 is the most used channel. We should make sure to choose something other than that! Hold the Option key and click the Network icon in the system tray. 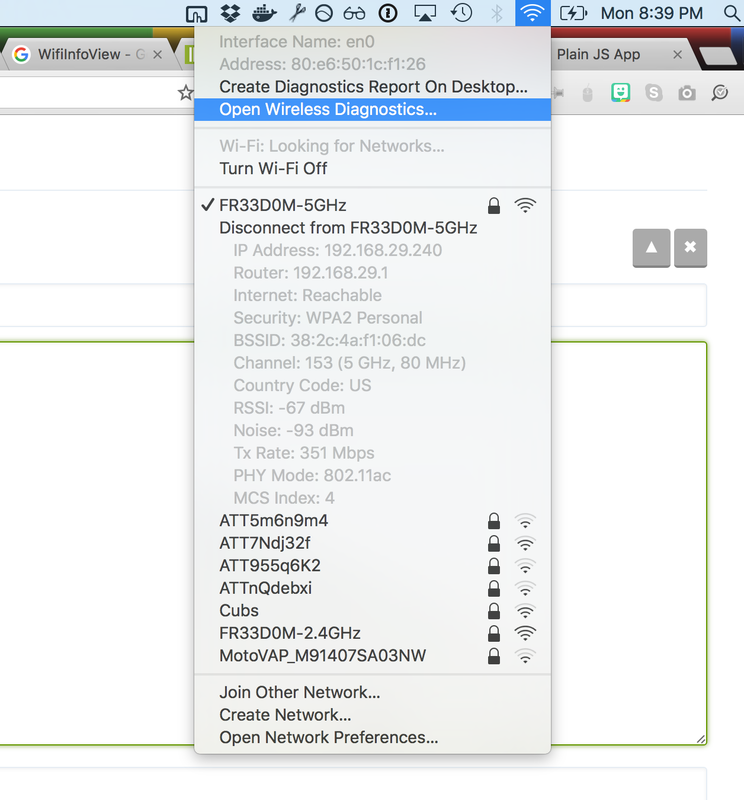 Choose "Open Wireless Diagnostics". 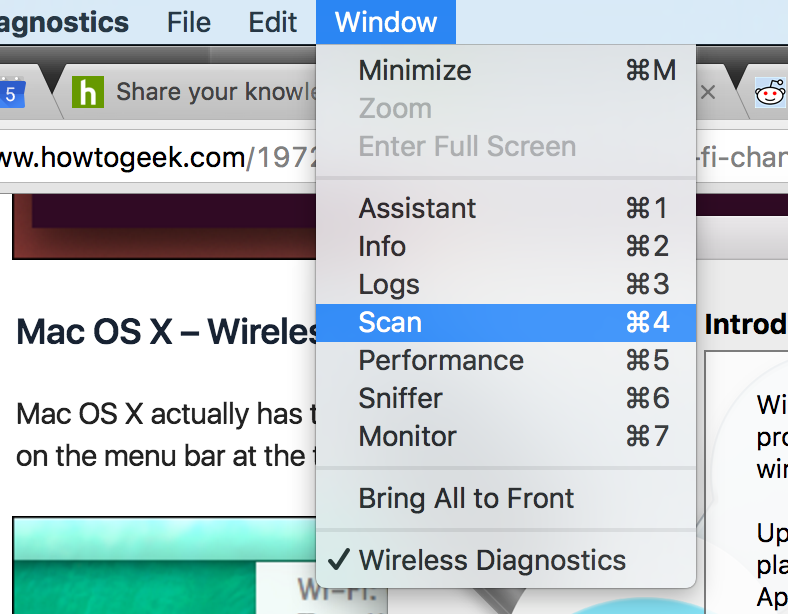 Ignoring the wizard that popped up, click "Window", then "Scan". You'll see a summary of the channels used and the best channels for your router based on the frequency. Simply choose those and you'll be in good shape!